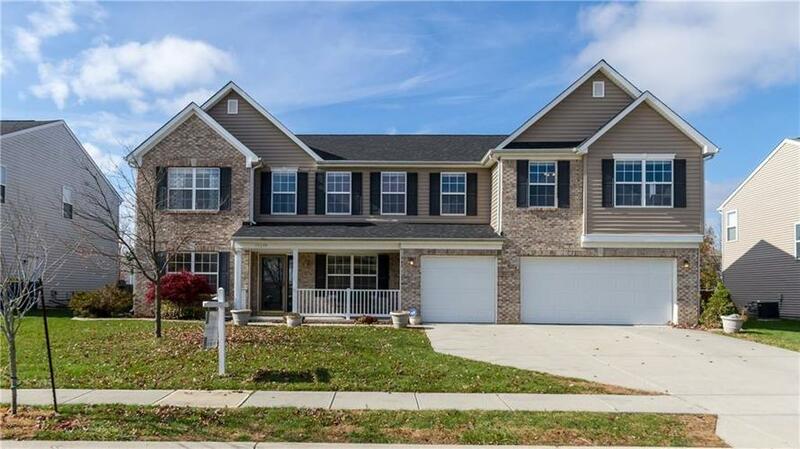 GREAT VALUE ON THIS MOVE-IN-READY LARGE 4500+ SQFT NOBLESVILLE HOME W/ 5 BEDROOMS 4.5 BATHROOMS INCLUDING MAIN FLOOR IN-LAW/GUEST SUITE! BRAND NEW CARPET THROUGHOUT! SPACIOUS DESIGN & FLOOR PLAN. MAIN FL OFFICE, DINING, FAMILY W/ GAS FIREPLACE, BREAKFAST RM & KITCHEN W/ GRANITE COUNTERS, BUTLERS PANTRY. LOTS OF COUNTER/STORAGE SPACE. LEADS TO 5TH BED & 1.5 BATHS & 3-SEASON SUNROOM OVERLOOKING FENCED YARD. UPSTAIRS FEATURES 4 LARGE BEDROOMS W/ WALK-IN CLOSETS, 3 FULL BATHS + A BIG BONUS ROOM! ENORMOUS MASTER SUITE W/ SITTING RM, HIS/HER CLOSETS & BATHROOM W/ DUAL SINKS, GARDEN TUB, SHOWER. GREAT FENCED BACKYARD SPACE! 3 CAR GARAGE. OTHER UPDATES INCL FURNACE, TANKLESS WATER HEATER, WATER SOFTENER, ROOF-2017. DON'T MISS IT! Directions:SR37 to 191st. RIght on 191st to Roudebush Farms. Left onto Searay, right on to Pacifica place to home on right.